Unicorns are enjoying a particularly lengthy moment in the spotlight, and that doesn’t seem like it’s going to change any time soon. If you’re a fan of these magical, colorful, and (unfortunately) fictional creatures, then you’re probably excited to celebrate National Unicorn Day, which falls on April 9th. It’s not that we all need another reason to celebrate unicorns, but honestly, who doesn’t want one? There are so many ways to do so, whether you want to get a unicorn manicure, buy some unicorn-themed cereal or make your own amazing unicorn hoodie. You could also do a little shopping and purchase one of (or all of) these Etsy products, just for National Unicorn Day! 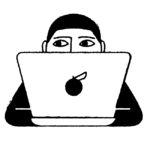 If you’ve been looking for a new unicorn product, Etsy has thousands of them — and searching can be a little bit intimidating because of that. So we’ve done it for you! Below are a bunch of cute options, whether you want something small and subtle, or you want to very clearly show off your fondness for unicorns. There are clothes, accessories, and even some home decor pieces, so it’s safe to say there’s something for every unicorn fanatic. 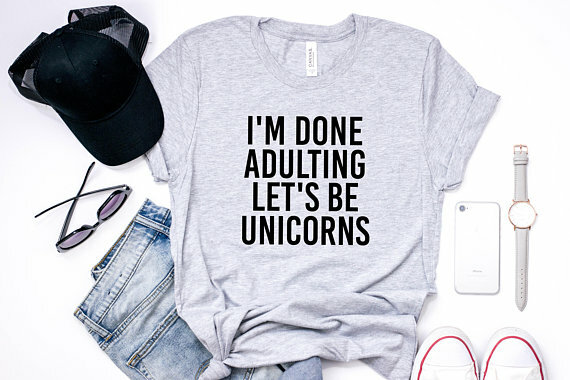 The good news is that you can blame your most recent purchase on celebrating National Unicorn Day. The bad news is that you’re probably going to want to spend every dollar you have on this stuff. Sorry in advance! 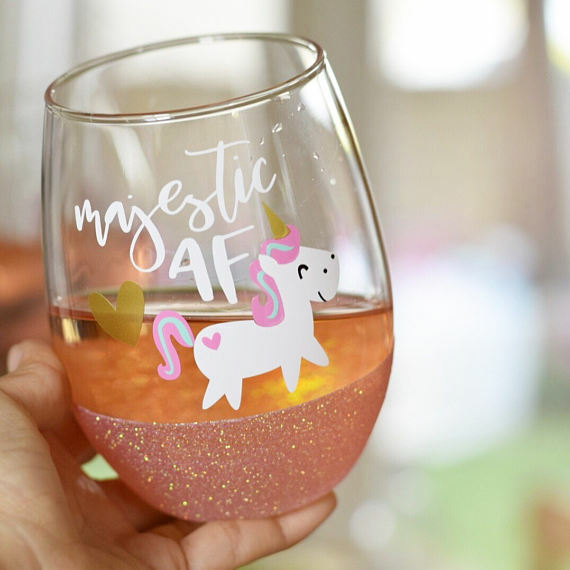 Drink your glass of wine in style with this adorable glittery unicorn cup. It will definitely make you feel super magical. 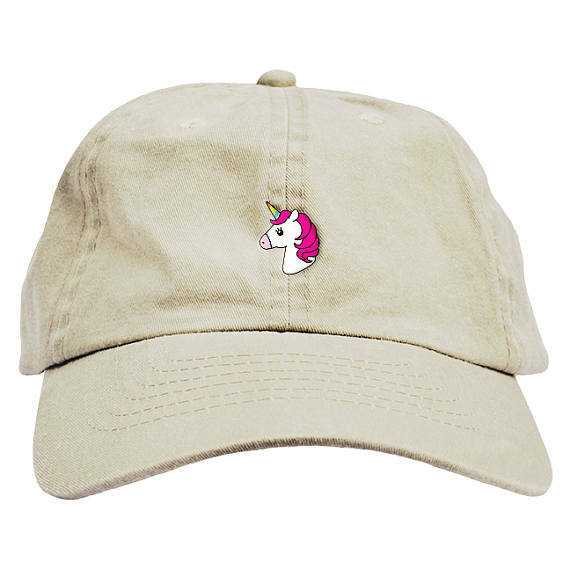 You can show off your love of unicorns in a more subtle way with this simple dad cap. The small emoji is so cute. 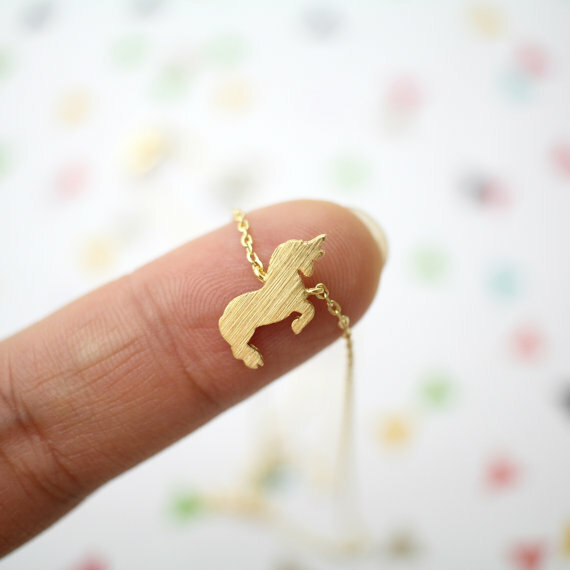 This tiny unicorn charm makes the perfect dainty necklace that will look good no matter what you wear it with. Honestly, same. This will be your new favorite weekend T-shirt, guaranteed. Have you ever felt like you needed something to hold your tea bag in place? No? 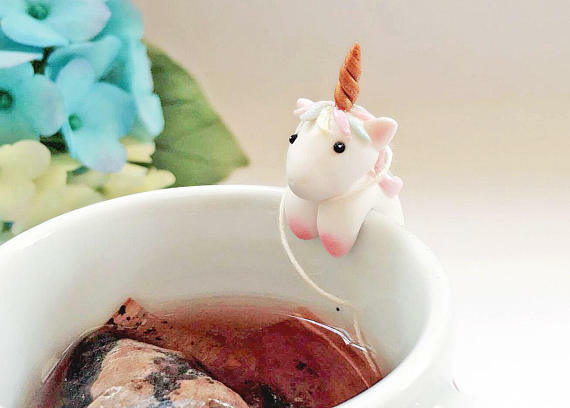 Well, now you do, because this unicorn tea bag holder is too cute for words. 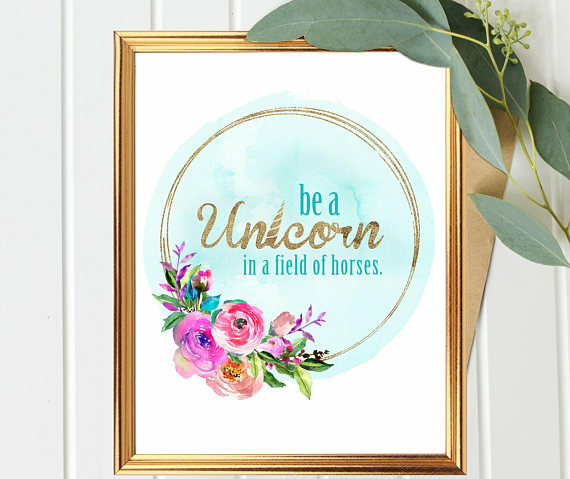 This art print is really beautiful and has a nice confidence-boosting message. Plus, it’s an instant download, and it’s a great price. 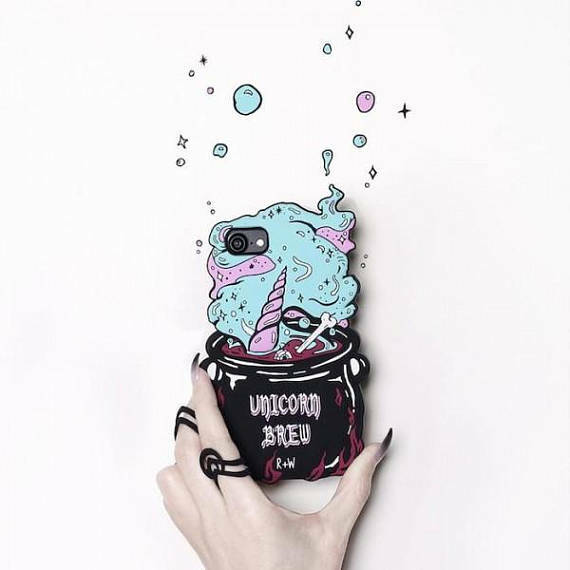 If you love unicorns but don’t want something pastel and sparkly, get this unicorn brew phone case. It’s definitely more unique and will stand out. 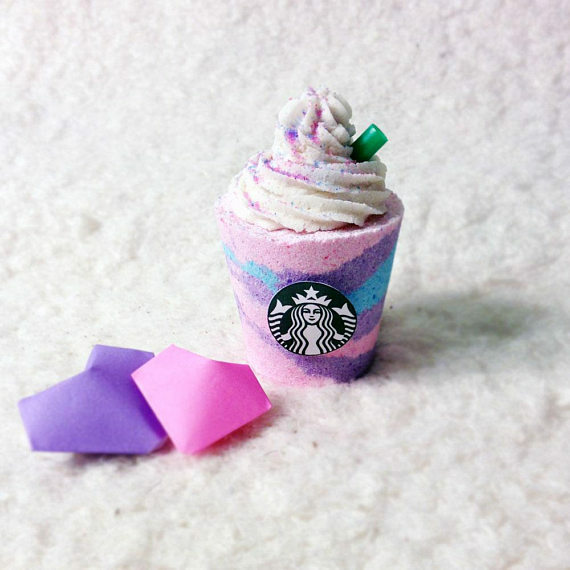 Still mourning the loss of the Starbucks Unicorn Frappuccino? Make yourself feel better with this little bath bomb. 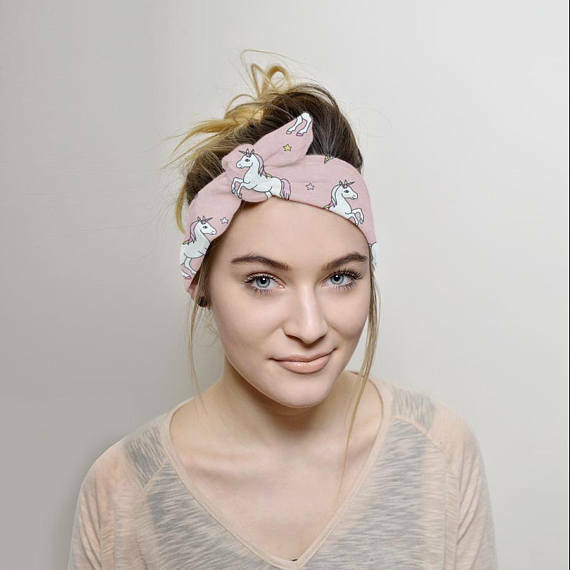 A unicorn headband is the accessory you never knew you needed in your life. Until right now, that is. This will make any outfit a lot more fun. Why wear black yoga pants to the gym when you could wear bright yoga pants? 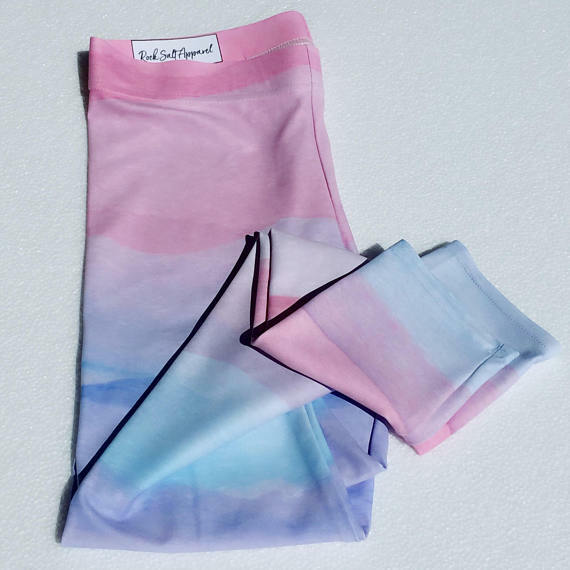 These pastel leggings definitely have a unicorn vibe to them. 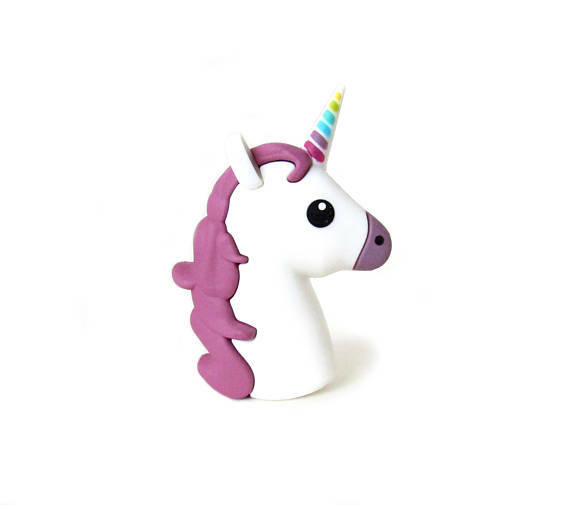 Give your phone or tablet a seriously magical charge with this unicorn power bank. It also comes with a matching charger cord, which is super helpful. Have you ever seen such beautiful soap in your life? 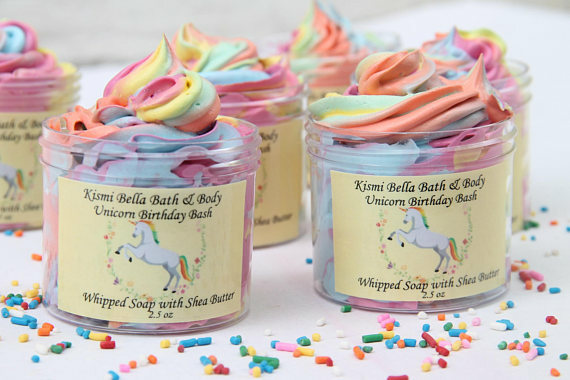 This unicorn whipped soap is so pretty that you might not even want to use it — but you should, because it’s awesome. 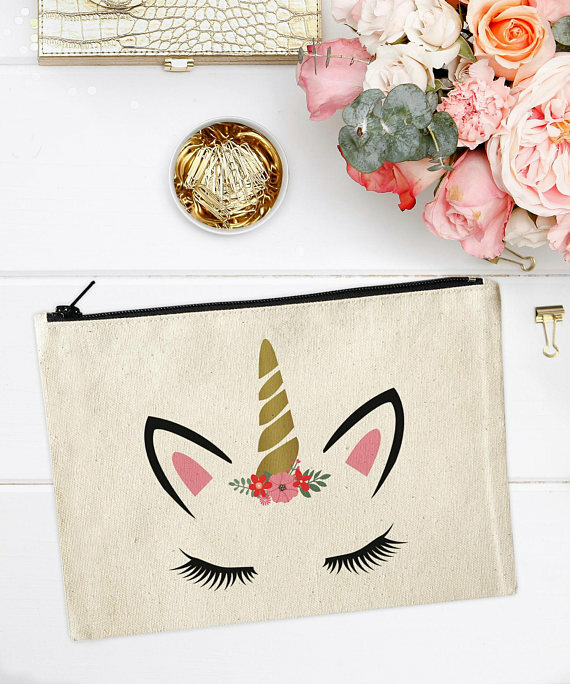 Keep all of your makeup safe in this sweet unicorn pouch. It’s small enough to throw in your larger bag whenever you need to. 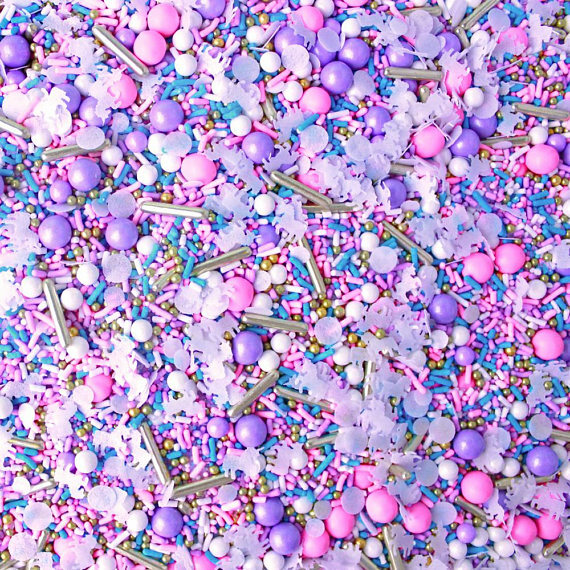 If you’re making a colorful dessert, you’ll want to get this unicorn sprinkle mix. It’s gorgeous and will make any baked good look amazing. 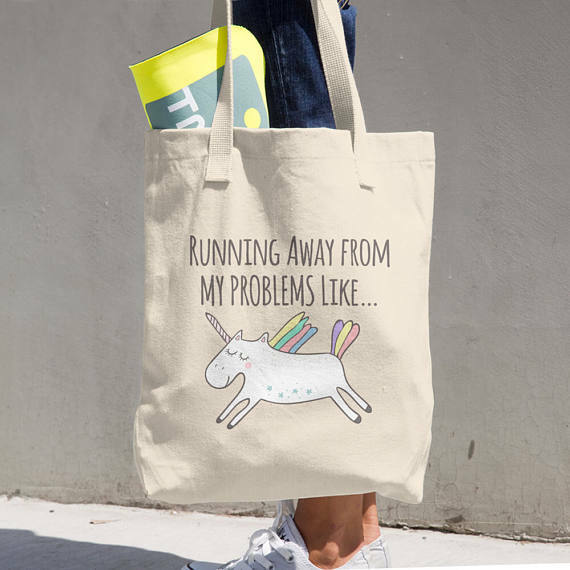 Carry groceries and anything else you need in this fun little tote bag. Because really, who can’t relate? These products make it hard not to remember how amazing these mythical creatures are. Enjoy National Unicorn Day, everyone!